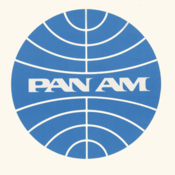 Pan Am's first trademark was a blue arrow with a winged PAA crest centered on it. However, before 1928 was out, the airline was using a winged western hemisphere counterbalanced with PAA spelled out in an italic, wind-swept typeface. When the symbol changed again in 1944, the world portion was redrawn to include Africa, Europe and Asia, in addition to North and South Americas. The wind-swept PAA was superimposed on the wing. By 1958, similar symbols were so widely adopted by airlines throughout the world that it was felt that the trademark was losing its purpose as an identifying symbol. For the same reason the light-blue color was adopted. 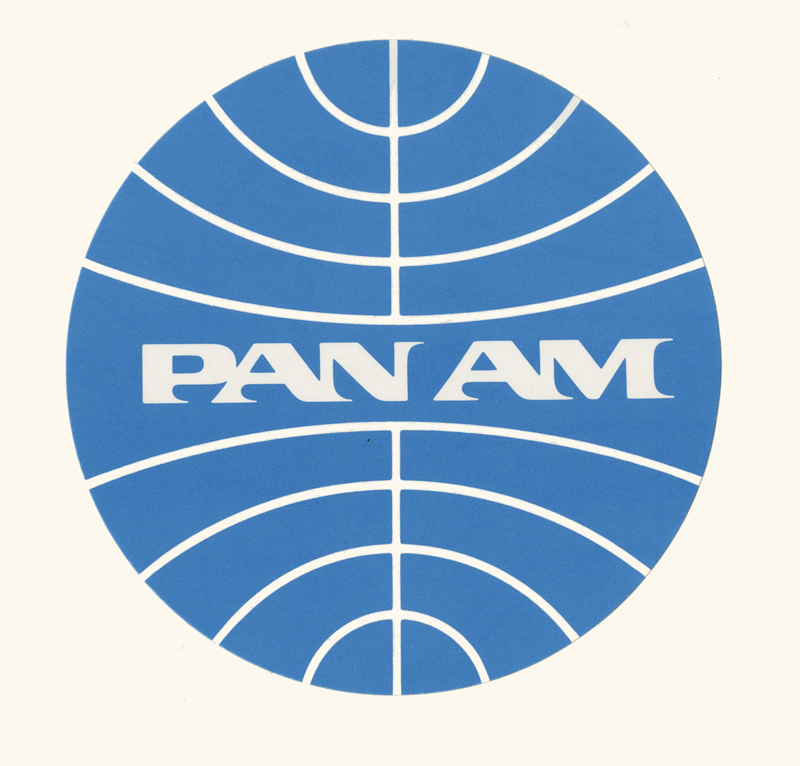 The former dark-blue had become so common in the airline industry as to obscure Pan Am identification. The italic, wind-swept typeface was replaced with a modern, block style. Edward L. Barnes Associates, “Blue Globe trademark,” UM Libraries Digital Exhibits, accessed April 22, 2019, http://scholar.library.miami.edu/digital/items/show/737.